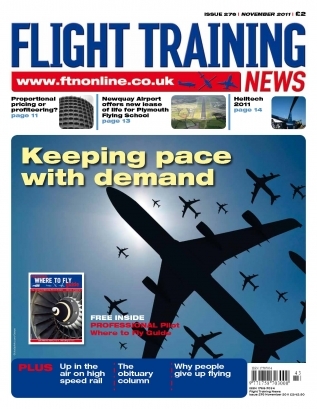 Flight Training News is the only news publication dedicated to flying training at all levels. Flight Training News has been required reading for most flying training industry professionals, including airlien recruiters, Flight Instructors and industry decision makers for over 10 years. But it's not just for aviation insiders. If you're considering learning to fly, whether for fun or starting a flying career, looking for sponsorship, scholarships or just inspiration, Flight Training News is for you. If you're already qualified, or partway through training and you want to keep an eye on the job market, who's hiring and who's firing, then Flight Training News is where you'll find the latest news. A 1-year subscription (11 issues) costs £19.95, mailed to your address automatically on publication. See www.ftnonline.co.uk for more information!